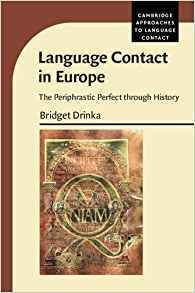 The LSA is delighted to announce that the Leonard Bloomfield Book Award for 2018 will be given to Language Contact in Europe: The Periphrastic Perfect through History by Bridget Drinka (University of Texas at San Antonio), published by Cambridge University Press. The Leonard Bloomfield Book Award's Committee's citation reads as follows: "This book is a masterpiece of linguistic scholarship. Its extraordinary breadth of coverage and detailed analyses make original contributions of several kinds to a number of areas: language contact generally, areal linguistics, the “Charlemagne Sprachbund,” typology, TAM categories cross-linguistically, “perfect,” and the historical sociolinguistics of European languages. The book weaves all of these threads together deftly and cohesively. It tracks the history of the periphrastic perfect construction comprehensively and in meticulous detail through time and across Europe, from Finnish to Bulgarian, thus focusing not just on Indo-European languages. 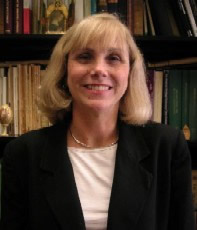 The close examination of the interaction of the sociohistorical and linguistic factors in the development of the periphrastic perfect compellingly demonstrates Drinka’s conclusion that language contact is a more crucial factor in linguistic change than has generally been recognized; it shows how language contact can motivate and instigate change in general." The LSA congratulates Bridget Drinka and the Cambridge University Press, and thanks all the LSA members and publishers who nominated works for consideration for this award.